In 1806, John Dunlop acquired four acres of land, commonly called Gottrays Fauld. Over the next few years, he acquired further land and built a large house which, in 1817, he sold to Robert Glasgow of Montgreenan. 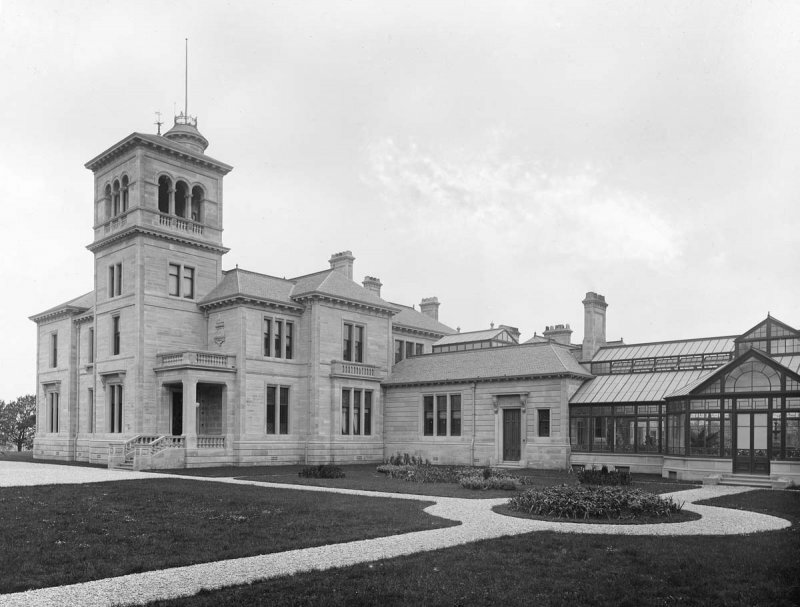 A later owner, John Orr McTaggart, enlarged the property by acquiring part of the lands of Cunning Park and a property known as “The Old Viewhouse”, thus transforming what was essentially a summer house into an enviable small estate, which was now known as Seafield. The original house had no architectural or historical claims, so Arrol proceeded to pull it down and build in its place a large and handsome mansion. The architects were Clarke & Bell, of Glasgow, but “in its general features the new building was designed by Sir William himself”. Work began in 1888; the build cost was over £8000. In this setting of fifty acres of land stretching down to the shorefront, William Arrol designed the mansion with a magnificent four-storey Italianate tower, expansive conservatory and a heated supply of sea water for the saline baths that he took as a curative measure. Internally, Seafield was extremely well appointed with a magnificent library, valuable art collection of some three hundred paintings and a large and beautiful hall with excellent acoustics for musical performances. 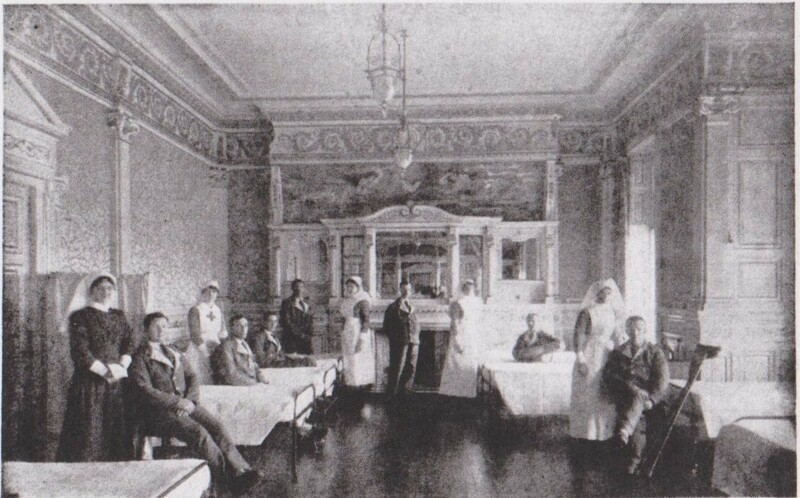 After Sir William’s death, Seafield House was briefly let out before being used for a time during WW1 by the Red Cross as an auxiliary hospital for wounded soldiers. 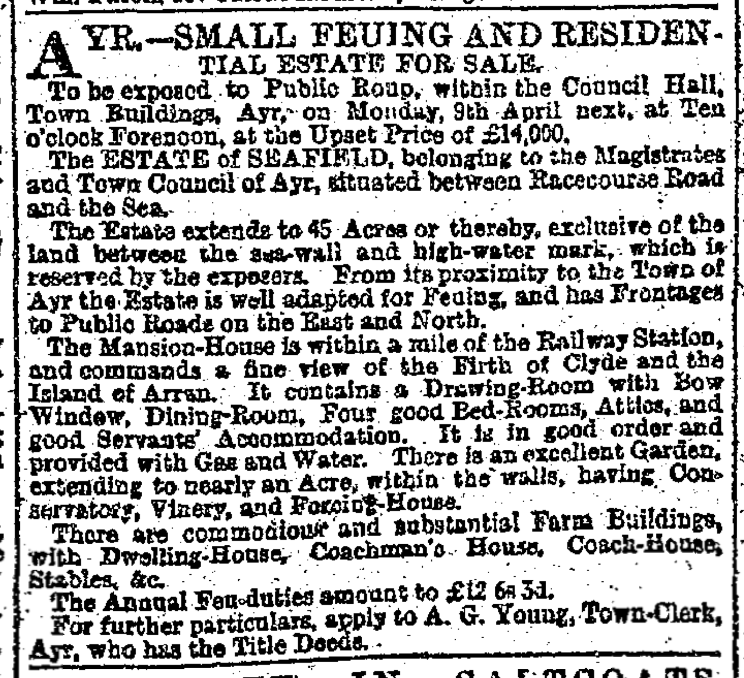 In 1920, the Maternity and Child Welfare Joint Committee acquired Seafield House for £16,500. On 12th October 1921, Seafield opened as a maternity hospital of fourteen beds and a children’s hospital of thirty four beds. The hospital adapted and changed over the years, becoming the Seafield Sick Children’s Hospital in 1944 on the removal of maternity beds to Irvine. In 1952, the original Victorian conservatory was removed and a “state of the art” extension built in its place providing a casualty centre, an x-ray department, two operating theatres, an out-patient department and new cubicles, all at the cost of £25,000. The Hospital was threatened with closure in the 70’s but the Ayrshire people rallied to save it and following the original “Save Our Seafield” campaign presented a petition of 32,000 signatures to the Health Board. The hospital was given a reprieve but finally, after seventy years of service, at the end of October 1991, all patients were transferred to the new South Ayrshire Hospital and the doors of Seafield Sick Children’s Hospital closed for the last time. The building was used briefly as the Health Board’s headquarters but then Seafield House lay empty and boarded up for many years. In 2008 the house was gutted by fire where the roof was lost and beautiful interiors destroyed and left open to the elements. The House has been neglected ever since. Several attempts have been made to sell the house, but without success. In 2009 Ayrshire and Arran NHS Trust applied for permission to demolish Seafield House and were refused. A second application to demolish was withdrawn in 2012, following strong local and national opposition. 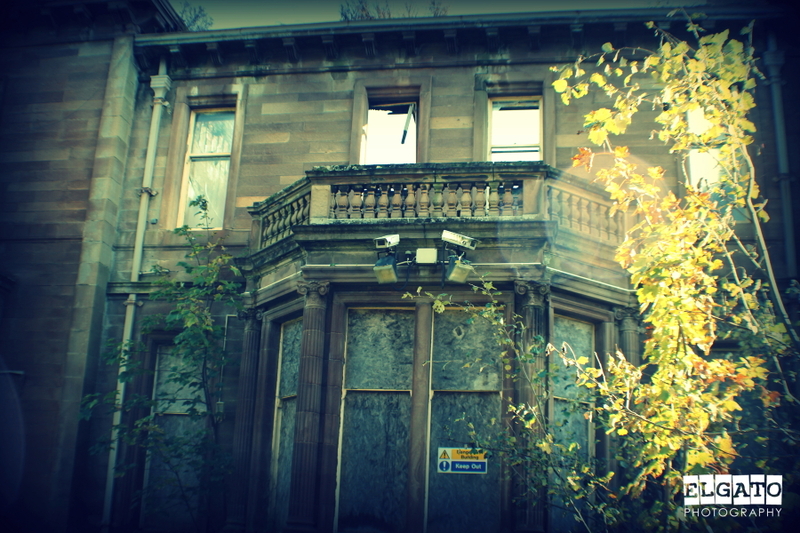 With the building under serious risk, Friends of Seafield House was set up in October 2012 and, with the support of SAVE Britain’s Heritage, have been campaigning to save the house. Following a new enabling development opportunity marketing campaign for Seafield House in September 2013 a closing date was set for 11 Dec 2013. Subsequently the house was sold to econstruct design and build who are working on plans to develop the house and surrounding site.